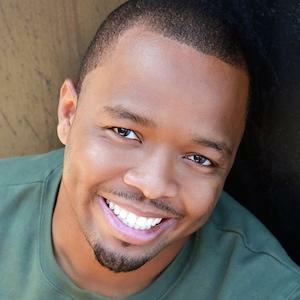 Versatile entertainer who is an actor, comedian, and YouTube content creator for his popular channel KevOnStage. He makes up 1/3 of the entertainment company called The Playmakers alongside his best friend and brother. He performed his first stand up comedy gig at a church for talent night. He attended three different high schools in four years. He's also been a writer for numerous shows, including Awesomeness TV, Major Deal and Add-TV. He is the middle child of his siblings and very much a momma's boy. He has a podcast with his wife Melissa called Love Hour. Both of his sons, Jo Jo and Zay Zay, are YouTube famous as well. He interviewed Cynthia LuCiette in a video titled "Ask A Mixed Girl" on All Def Digital in April 2015.